Let’s diagnose and defeat writer’s block! However, I have come to believe that in most cases, writer’s block is a symptom, not a condition. Before we can cure writer’s block, we have to diagnose it. Writer’s block is almost always presented as some mysterious disease. A writer sits down to work and nothing happens. The ideas are gone. The words don’t come. It must be writer’s block! At times, writers certainly lose their inspiration or face challenges that prevent them from working. I’m not saying we shouldn’t call this writer’s block. What I am saying is that in my experience, there’s usually some underlying cause, and it’s often something that’s easily remedied. Instead of blaming our inability to work on a vague condition, we can figure out what’s really preventing us from writing and fix the real problem. Today, let’s dissect writer’s block and figure out what causes it. We’ll also explore some solutions for curing writer’s block, and I’ll share some writing tips that have helped me stay inspired when writer’s block threatens my writing productivity. Physical ailments: If you’re sick, exhausted, hungry, or dealing with a headache, you might find it impossible to write. Allergies interfere with my ability to focus on anything, including writing, a few times a year. Whether you face these kinds of ailments occasionally or on a regular basis, it’s important to acknowledge the real problem and then look for a cure. That might mean taking a break so you can take care of yourself. I recently struggled with writer’s block because I had a nasty cold. I cured both my cold and writer’s block by drinking lots of hot water with lemon and honey. Mental and emotional stress and distractions: It’s hard to concentrate when you’re in a bad mood, stressed out, depressed, or angry. In cases of a bad mood, a little positive thinking might pull you out of it. You can also use relaxation techniques to calm your anger or alleviate your stress. It’s normal to be depressed after any kind of loss or trauma, and these times may call for taking a hiatus from your creative work. If depression persists for more than a few weeks or months, it’s important to see a doctor. Lazy days: Sometimes you just don’t want to write (or do much else, either). There’s a deadline looming, but the sun is shining and the beach is calling. You swore you’d finish this chapter today but you’d rather take a nap. Technically, this probably shouldn’t be included on this list, because the problem isn’t that you’re blocked; you’re just feeling (or being) lazy. However, I know there are writers out there who use writer’s block as an excuse for being lazy. This is common when writers get burnt out and what they really need is either a break or a little motivation. Look for ways to get your energy levels up (eat healthy, nutritious meals and get plenty of exercise) and revisit your goals to recharge your motivation. The grass is greener: This is a close cousin to the lazy day. It’s not that you’d rather get some rest and relaxation. You’d just rather do anything in the world other than work on your writing project. In fact, you’d rather surf the web, organize your closet, or schedule a dentist appointment. You may even be seduced by a brilliant new idea that’s tempting you away from whatever you’re supposed to be working on. The grass may look greener, but it’s not. The only cure here is sheer willpower. You can also use a reward system: get your work done and then treat yourself to something special. Avoidance and procrastination: Sometimes we go out of our way to avoid a difficult writing challenge. It could be that we’ve gotten our characters into a sticky situation and can’t get them out of it, or it could be a poem for which we just can’t seem to find the right rhythm. You might know, deep down inside, that you have to scrap some of your work or make major revisions to get yourself unstuck. Maybe you need to do some (boring or tedious) research. So you avoid it altogether. Instead of procrastinating, push yourself to face these obstacles head-on. You can also skip ahead and work on some other part of your project. If you’re truly stuck, then ask a friend to take a look and offer advice. Sometimes someone else can see a solution where we can’t because we’re too close to our own work. I’m sure there are many more causes of writer’s block. I’ve experienced all of these in varying degrees. As I’ve grown more experienced, I’ve learned that whether I need to take better care of myself, push harder to get things done, or face up to an undesirable challenge, writer’s block can be cured, and usually, it can be cured easily. Take care of yourself. Eat well, exercise, and drink plenty of water. Schedule time for rest and relaxation. Don’t run yourself down. No matter what you’re working on, some other project or activity might sound more enticing. Try to see one project through before starting another and reward yourself when you push through something difficult or unpleasant. On the other hand, if you have two projects going, you can rotate back and forth to maintain your interest in both. 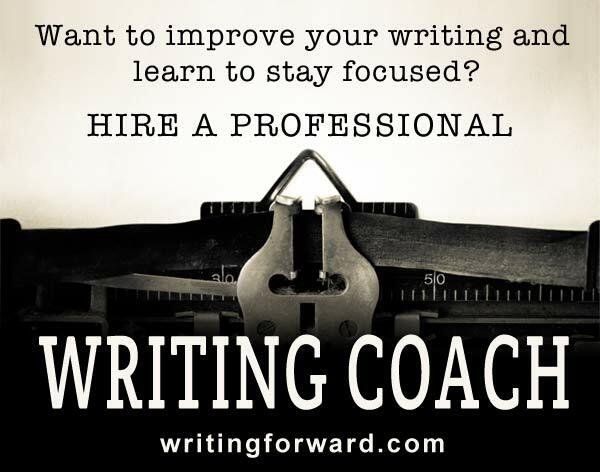 Get advice from other writers. They might see a solution where you see no way out. Sometimes defeating writer’s block is just a matter of getting inspired. Keep a running list of ideas and things that inspire you. Whenever you feel uninspired, this list will be there for you. Do you believe in writer’s block? Is it a real condition or a symptom of some other problem? Is it possible to become uninspired for no reason whatsoever? Do you have any writing tips that would help other writers stay inspired and unblocked? Share your thoughts by leaving a comment. I definitely get writer’s block, but I’ve come to see it as a good thing, as it usually happens to warn me that something’s wrong with what I’ve written. That’s the same type of writer’s block I’m most likely to get these days. It’s not so much writer’s block as an indication that I need to sort a few things out. I try not to wait to figure things out; I brainstorm, get input from friends and family, and do research. But sometimes, a project needs to sit for a few days so I can revisit it with a fresh perspective. Sometimes I would get up and walk around. Sometimes I would start doing something mindless like channel surfing or Tetris. (Yes, Tetris can be mindless when you are good at it.) However, the important thing is that you still keep whatever you were thinking about in the back of your mind. Sometimes you just need to shift the focus away for a little bit to see ways of circumventing the block. With small projects, like blog posts, I do the exact same thing (except I play Solitaire, and lately, Words with Friends). Sometimes a ten-minute game reboots my brain! I’ve also found that “sleeping on it” can be helpful in breaking out of writer’s block. Many times, when I do this, when I wake up, I have my answer. When we slide down into slumber, we pass through all of the different brain wave states, including alpha, when we’re more receptive to directions and suggestions that we give ourselves. At the deeper brain wave states, we have more access to our own creativity, and, when we sleep, any self judgement of contraproductive beliefs (ex: the more you get stuck, the more you tell yourself you’re stuck and the further yet you get stuck) tend to be asleep as well. That’s awesome, Catherine! Thanks for sharing this. I experimented with lucid dreaming many years ago (in conjunction with a paper I was writing) and I’ve also kept a dream journal, which involves telling yourself you’ll remember your dreams when you wake up so you can write them down. I love the idea of using dreams to solve problems. Magical! I think writer’s block is caused by the mentality where the longer you put something off, the longer it can stay a dream. And if it’s just an arbitrary, but very desired dream, it means you can put off the risk of failure for just another day. That might be procrastination rather than writer’s block, which is another problem that afflicts many writers (and probably a much harder one to overcome since it requires sheer willpower). Ah true enough. It’s easy to mix the two. Is it also reasonable to have revision block or does the revision stage actually fair much easier? I could only imagine how disheartening it is to trunicate what you once thought was potent enough. Revisions can be grueling. I just finished editing a book and it was quite tedious. However, I didn’t experience revision block – just a burning desire to take a lot of breaks! What I’ve discovered over the years is that, for me, writer’s block is to the psyche what physical pain is to the body–an indication that something is wrong, or at least not quite right. When I take a few minutes to relax, step away from the project at hand, and figure out what’s really going on with me, the block almost always fades away. If I try to ignore it and just push through it, however, it gets twice as strong and pushes back. Hi Debra. That’s my experience too. Instead of staring at the blank page, sometimes all I need to do is ask what I need or what I’m missing. Sometimes I just need to eat, rest, or exercise! I believe that writer’s block could be the result (or symptom) of a bigger issue (such as health or monetary or relationship or whatever problems,) and also simply a lack of imagination and drive to get’r done. Either way, it is most certainly curable by simply writing. 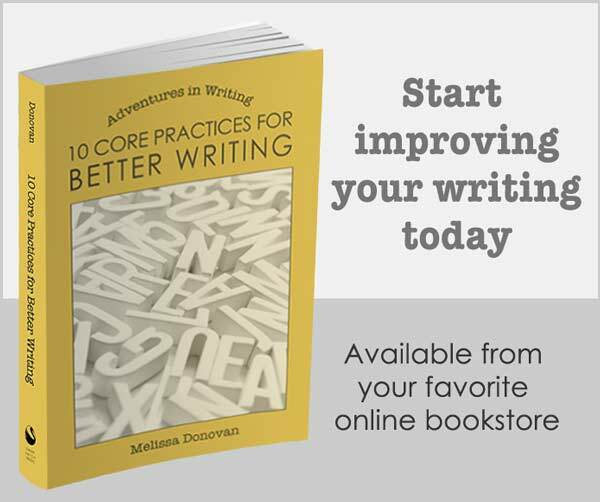 No matter the quality, discipline is key to inspired writing. Just as an athlete must practice the basics every single day without fail, so must the artist (be it writer, musician, or literal painter) build up their skill until they can go through those motions (creative or not) with less difficulty. The Italians called it “sprezzatura”–working hard regularly to achieve the apperance of ease. Regardless, writing every single day, if possible, makes a huge difference, even if the quality and amount wavers. Yes, sometimes it’s just a matter of pushing yourself to write something, anything, even if just to cultivate a good writing habit. One of the ways to deal with writer’s blog is to simply get down to writing instead of researching. On the other hand, research might inspire some writing ideas!